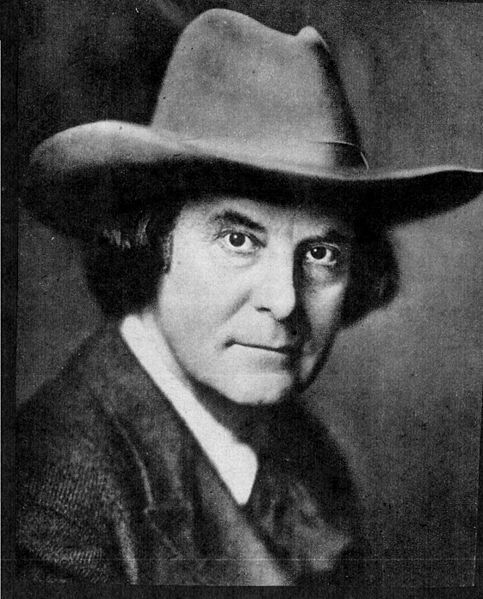 If “Nothing succeeds like Success” then Elbert Hubbard was the ideal candidate for BJ’s imitation. Hubbard owned Roycrofters, a fine maker of furniture and books. Each creation was a work of art. Roycrofter books were made of hand-cut paper and were renown for their wonderful artwork. 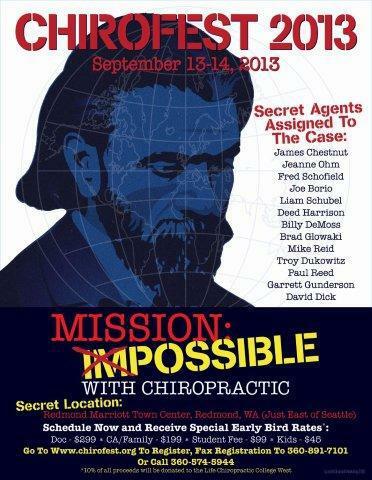 Hubbard was a philosopher and authored many of the books himself. One in particular “A Message to Garcia” was a favorite of BJ’s who made it required reading of all his employees. BJ loved H ubbard-style quotations so much he had the epigrams painted on the walls all throughout the Palmer School. One could not help but take notice and perhaps learn from them. That was the idea. 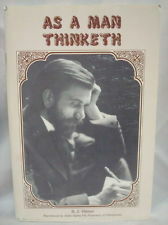 In 1923 BJ published a book that collected all the epigram quotations entitled “As a Man Thinketh.” It is perhaps from this book of collected sayings, published by Palmer, that we incorrectly assume he wrote each. It is now apparent that he borrowed many of the quotations and put his own spin on them. Hubbard, who died in 1915 from the sinking of the Lusitania ship, wouldn’t mind though. He would smile, knowing that because of BJ’s knack of marketing BIG IDEAS, his words would be kept alive. P.S. 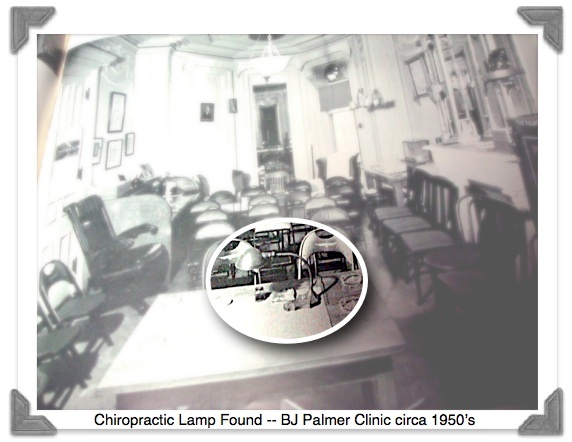 Check out my other Epigram article that tells the story of their resurrection at Palmer Davenport. BJ and Mabel in the living room. Note the epigram on the mantel (mentioned by Dr. Myron Brown on SCR 169). From Elbert Hubbard’s Epigram book. I must admit, it is a bit ironic that I’ve now authored two “DC Angles” in a row that talk about writing on the bathroom wall — but I guess things could be stranger. Largely because of his involvement with Radio, BJ was very much into, and became very skilled at, stripping down sentences and phrases to reveal their very essence, eliminating surplus words —”goat feathers” as he called them. This was not only necessary from an economical standpoint (words cost money in Radio), but rewriting allowed for, as he explained in Radio Salesmanship, “boiling essence of thot and expression.” He was also into “positivizing” copy — cutting out negatives. This practice of goat-feather-editing while avoiding negatives was something he became very good at — not mention proud of. 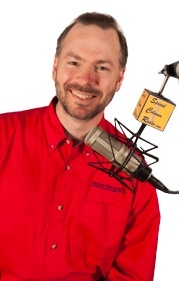 He offered his services to radio stations world-wide to revise, brief, and positivize their sales copy. So, in a sense, BJ collected quotes — as any of us would — that rang true in his heart and mind. The difference was that he would boil down their “essence of thot and expression” by revising them — making them his own — and then would display them for all to see. These epigrams represented fundamental principles that described his character — or the character he ascribed to attain. Ultimately, they worked to define him. What is before you, is seen. What is being seen, is read. What is being read, is thot. What is being thot, is acted. What is acted, is YOU. 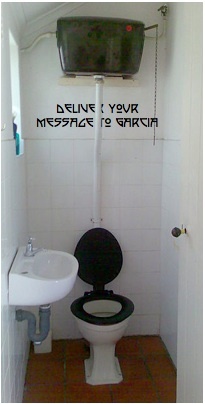 So what’s with the epigram “Deliver Your Message to Garcia”? What “message” was he talking about, and who the heck was Garcia??? …And yet, knowing BJ’s obtuse humor, it also seemed perfectly “BJ.” After all it was scribed above the toilet in his employee bathroom. But something within me wasn’t satisfied with its apparent nonsensical nature. I wanted to understand its significance. I wanted to know more. Another result I pursued on that list was a newspaper article from 1932 talking about forest fires and cigarettes. In the article it said to “never permit a cigarette to deliver your message to Garcia.” What??? I then Googled the Garcia phrase to include “cigarette” and was lead to a pipe smokers’ forum where they were touting the virtues of pipe smoke over ciggy. And then beneath the haze I saw it. In the signature line of one of the postings was a quote extracted out of a literary piece stating, “Carrying a message to Garcia” with the citation: “A Message to Garcia” … authored by, none other than, Elbert Hubbard!!! My jaw dropped to the floor. It wasn’t long until I had found and was reading the full-text of this amazing essay penned in 1899 by BJ Palmer’s mentor. What was it that inspired, not only BJ, but a nation — if not the world — to adopt this allusion: “Deliver Your Message to Garcia”? Hubbard was an American writer, publisher, artist, and philosopher — and we know, friend and mentor to BJ. He would chalk the popularity of his “A Message to Garcia” — over 40 million sold with translations in all written languages — to a “series of lucky accidents.” It was written nearly 115 years ago in an hour’s time following dinner one evening. Hubbard described it as a “literary trifle” meant to act as filler for his Philistine magazine as they readied the press for the latest edition. 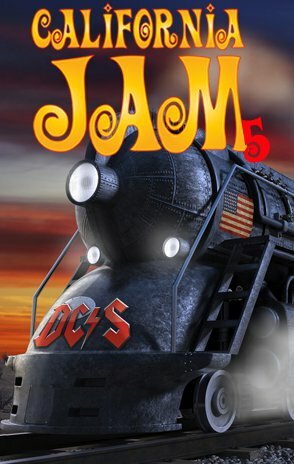 But when orders for reprints of the March mag began streaming in — a dozen, fifty, a hundred, then a thousand — all because of the “stuff about Garcia,” Hubbard knew he had underestimated his “literary trifle.” Perhaps it was the telegram from New York Central Railroad requesting 100,000 copies that convinced Hubbard that the essay needed a title. No matter though, because it was the meaning behind the inspiring story that people were connecting with — a story that became a seemingly overnight success imprinting its “message” upon American popular, business, and military culture for decades to come. The message this literary classic “delivered” over a century ago, more than ever, still rings true today. In a world where “slipshod assistance, foolish inattention, dowdy indifference, and half-hearted work seem the rule,” we need “Rowans” that are willing to stand up and take the initiative, to “Just Do It!” and “Git-R-Done!” with loyalty to themselves, their bosses, and their organizations. 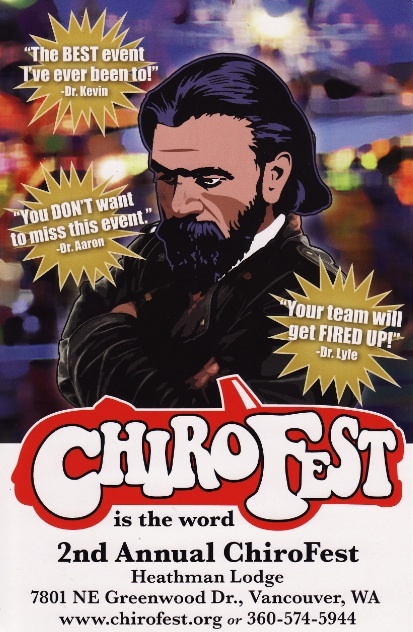 Dr. Thomas Lamar loves chiropracTIC and its associated history. 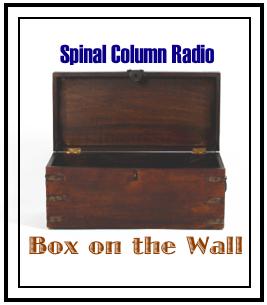 He “Delivers him message to Garcia” as he podcasts, with the assistance of his audio-engineer son, Logan, on SpinalColumnRadio.com from his home studio in Kingston, WA; and practices chiropractic in Kingston with an emphasis on family wellness. PS. 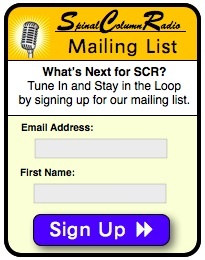 Tune in to SCR 169 to hear Dr. Lamar read the essay that inspired BJ’s bathroom wall writing. PPS. 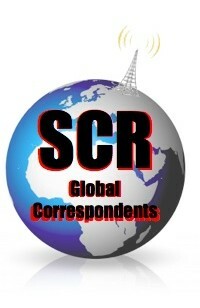 Read the Goat-Feather-Plucked version of the Message Above the Toilet at SpinalColumnBlog.com.